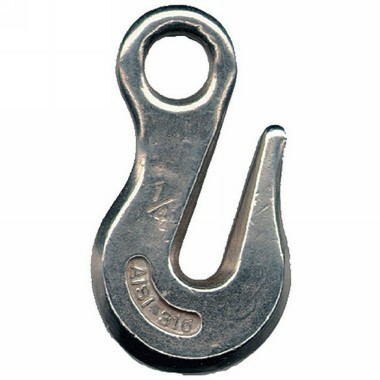 Stainless Chain Grab Hook 10mm. Size is hook gap. Use on strop to take chain load, or quieten chain in bow roller.